With the English transfer window set to slam shut on August 9th, Arsenal will have to be sure that their squad is ready for the 2018-19 season and a report published by RMC (via Get French Football) suggests that the north-Londoners are monitoring FSV Mainz’s 22-year-old centre-back Jean-Philippe Gbamin. 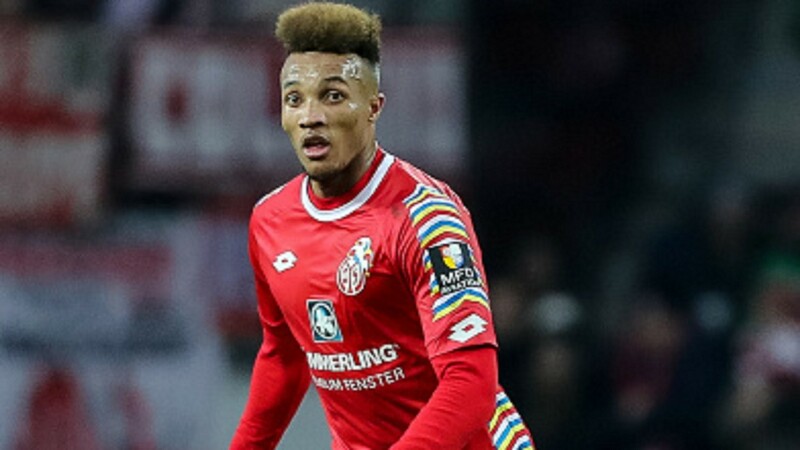 Although there’s evidently competition in the hunt for Gbamin as it’s believed that an unnamed English club, allegedly not the Gunners, of course, has already lodged a lofty €35m bid to prise the defender away from the Opel Arena in the coming days. But, reluctant to part with the highly sought-after enforcer, it’s said that Mainz have not directly responded to the proposed offer from the anonymous party and will seek to retain his services for the foreseeable future. Formally a France youth international, Gbamin represents the Ivory Coast at senior international level and has developed into a sturdy, trusted character in the heart of the Bundesliga outfit’s defensive quarters. Gbamin is also an adaptable squad member having previously deputised at right-back and as a holding midfielder, highlighting, fundamentally, that he’s prepared to venture out of his comfort zone when called upon, a willingness that’s particularly beneficial to a depleted matchday XI. Share the post "Arsenal monitoring 22-year-old FSV Mainz defender"